Blackened Onion and Lentil Pilaf. On Wednesday night, I got home late from a busy day at work, and I was starving! Thinking to make something easy and quick, I decided to put together a really simple lentil dish to accompany the chicken drumsticks I was roasting. 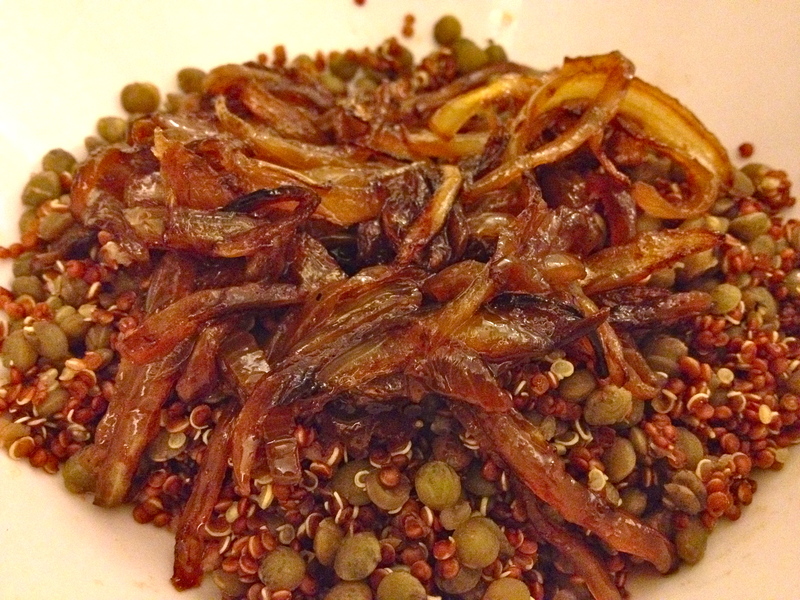 I love lentils and consider them an almost-perfect food. They taste good, they’re really versatile, they’re easy to cook, they’re good for you, they last forever, and they’re incredibly cheap! What’s not to love? Last night, I riffed on a Lebanese rice dish called mdardara, which I had learned about a long time ago but hadn’t ever made. 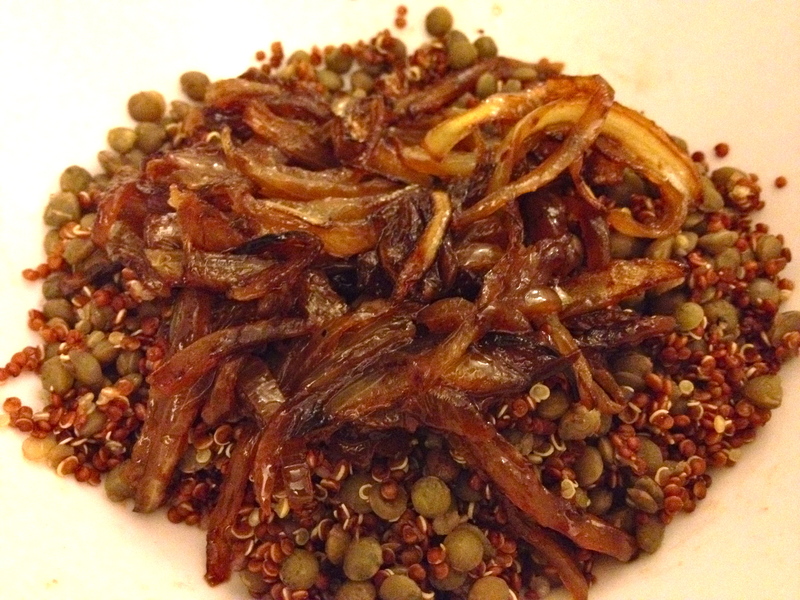 It’s a really simple lentil and rice pilaf topped with blackened onion strings, but in my version, I replace the rice with quinoa and the regular brown lentils with the slightly fancier French lentils. What makes this dish so great is that you can really use any kind of lentil, any kind of onion, and any kind of grain that you have around the house. It’s so flexible – just use what you’ve got and you’ll be good to go with a tasty side or main dish that’s totally simple and healthy. 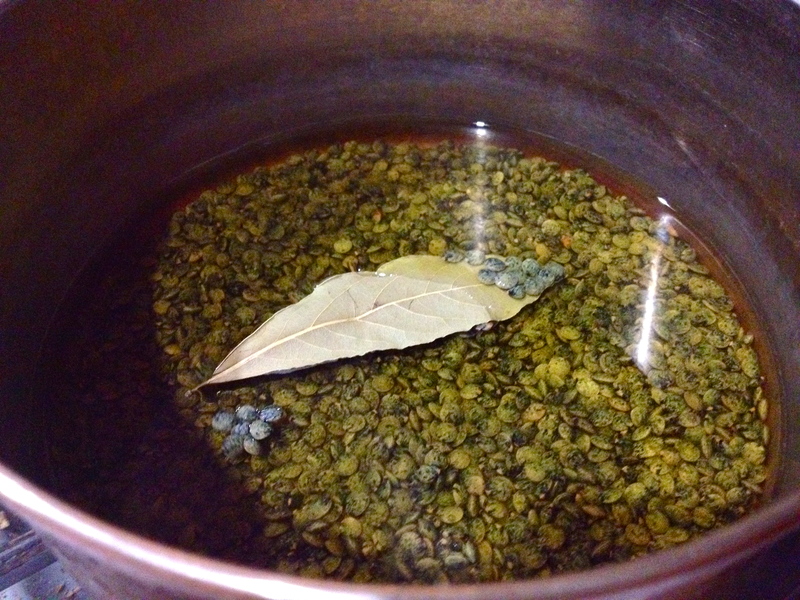 Add lentils, 1 1/2 cups stock or water, and bay leaf to a pan and bring to a boil. Reduce to a simmer and cook until lentils are tender, about 30-40 minutes. Remove the bay leaf, drain any excess liquid, season with salt and pepper, and set aside. 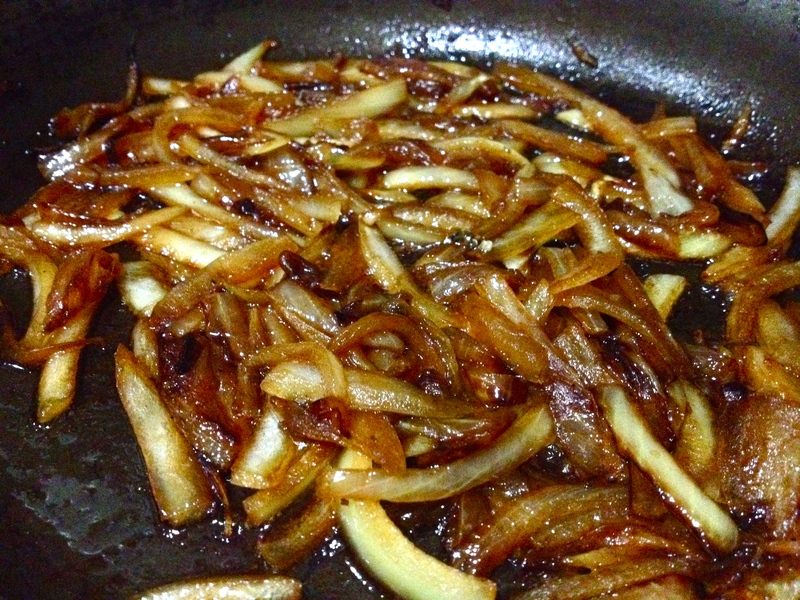 Meanwhile, heat olive oil in a frying pan and add the onions. Cook over medium low, stirring occasionally. When they start to take on a slightly blackened color, add a shallow layer of stock or water to the pan, to help them soften and brown rather than dry up and turn black. If you want them on the more charred side, use less stock; if you like them totally browned and almost caramelized, as I do, use a bit more stock. Turn the fire down to low and cook the onions until they’re a deep brown-black and the liquid is almost totally reduced. Finally, the quinoa. Cook according to package directions. I recommend cooking the quinoa in any remaining stock you have on hand, as this really perks up the flavor of quinoa and makes it way more flavorful than when it’s cooked with water. When everything is cooked, assemble! Mix the lentils and quinoa and make sure to season with salt and pepper. Spoon them into your bowl or serving dish and top with the onion strings. Add another sprinkle of salt to the onions and that’s it! A simple and easy yet very yummy after work meal that functions as a side or a main dish. And I’m saving the leftovers for lunch. Previous Baked Italian Macaroni and Cheese. Next Souffled Omelet with Sweet Peppers and Asparagus. Holy smoke – this looks delicious, and it isn’t even 9 a.m. where I sit! Seeing those onions gave me no less than 35 (or so) ideas of what other dishes I could use them in. haha :) the onions were probably my favorite part of this – so gooey and carmelized-y. Mmmm. Is it creepy for me to come back to the page to check out the onions? Don’t answer that.